Beautiful 2/Bedroom 2/Bath with kitchen, dining - living room. Canal front*. Lots of space for parking and porch overlooking canal. One bedroom has a king size bed and the other has a queen size bed. Limited to 4 adults. The kitchen has all the necessaries including range/oven, dishwasher, cloth's washer, dryer, refrigerator, garbage disposal, coffee maker, pots, pans, utensils, dishes, etc., Beautiful Balcony and plenty of parking. * Dockage Fee not included. We do not use a management company. We manage our home personally and are proud to share it with special people like you. Absolutely adorable.. Ocean access - great boating - fantastic fishing and diving snorkel and scuba!!! On deep water canal. 1st canal in from Atlantic Ocean - no bridges or obstructions. My wife and I had a wonderful stay for two months this winter. The unit was very clean and included everything we needed. The dock was perfect for our 27' boat. Walking distance to multiple restaurants. Robert the owner was very responsive resolving a minor TV and internet connection problem. 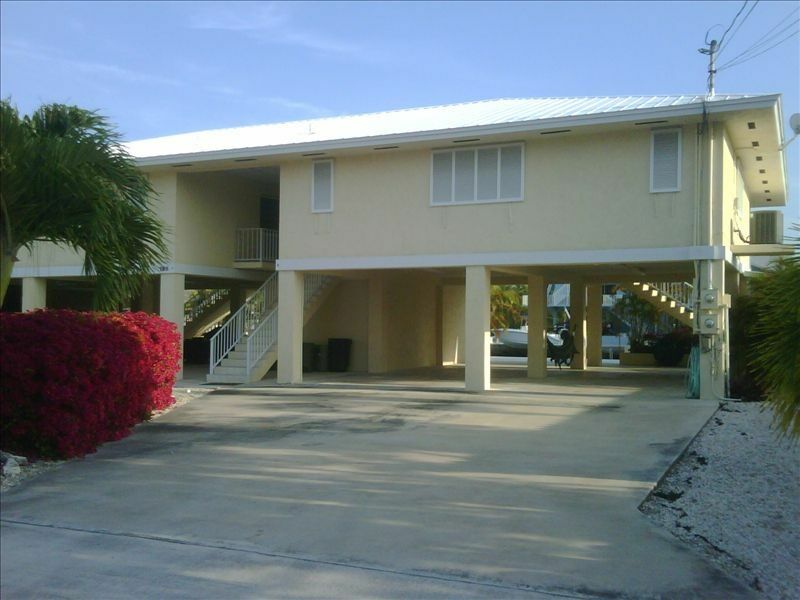 This is a great place to stay in Key Largo with excellent ocean access for diving and fishing. We will return ! This house was clean and modern. We were very comfortable and it was equipted with everything we needed. Plenty of room for your boat with a nice cleaning table. We liked the screened patio to sit outside without getting bit by mosquitos. We had a great vacation and would not hesitate to rent this house again next year.